Exposure to environmental endocrine disruptors (EEDs) has been linked to adverse health outcomes. The vast majority of studies examined one class of EEDs at a time but humans often are exposed to multiple EEDs at the same time. It is, therefore, important to know the co-exposure status of multiple EEDs in an individual, to preclude and control for potential confounding effects posed by co-exposed EEDs. This study examined the concentrations of seven classes of EEDs in the US population utilizing the data from the National Health and Nutrition Examination Survey (NHANES), 2009–2014 survey cycles. We applied linear correlation and cluster analysis to characterize the correlation profile and cluster patterns of these EEDs. We found that EEDs with a similar structure are often highly correlated. 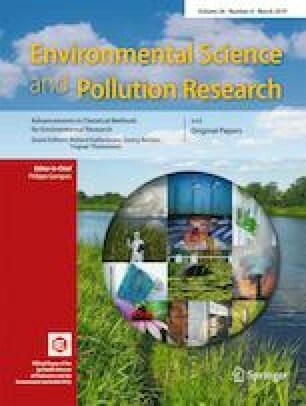 Among between-class correlations, mercury and perfluoroalkyl substances (PFAS) and cadmium and polycyclic aromatic hydrocarbons (PAHs) were two significantly correlated EEDs. In epidemiologic studies, measurement and control for co-exposure to pollutants, especially those with similar biological effects, are critical when attempting to make causal inferences. Appropriate statistical methods to handle within- and between-class correlations are needed. Lin Chen and Kai Luo contributed equally to this paper and should be considered as co-first authors. The online version of this article ( https://doi.org/10.1007/s11356-018-04105-x) contains supplementary material, which is available to authorized users. This study was partly funded by the National Basic Science Research Program Ministry of Science and Technology of China (Grant No. 2014CB943300), the National Natural Science Foundation of China (81530086) and the clinical research capacity improvement programs of postgraduate from Shanghai Jiao Tong University School of Medicine.